Just after Christmas this year I bought myself a scroll saw. It was a really exciting purchase because I wanted one for a loooong time, but I was intimidated by such a ‘big tool’. I don’t know what I was thinking, my little baby is just like the kitten of tools. Nothing to AT ALL to be afraid of! I’ve been sharing my projects on Instagram for a few weeks now, and thought it was time I shared them with you too! I’ve been hesitant to officially share what I’ve been working on because I’m still learning the tricks of the trade myself. I am planning on putting together some scroll saw beginner tutorials, with what I’ve learned so far, and take out any fears you might have about using this power tool. 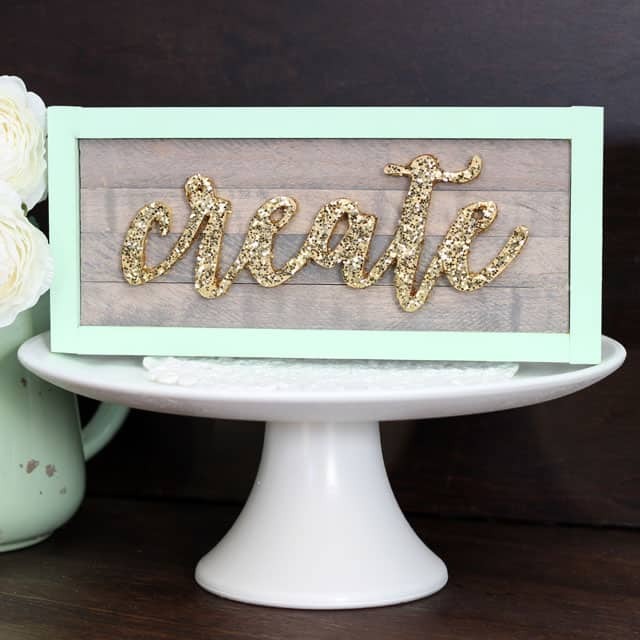 As you can see the scroll saw is perfect for making intricate cuts like these script words. I just love making them! I’ve had a lot of questions on Instagram if I plan to sell my signs. That question is still a bit unanswered, I’m considering it… but each sign is hand stencilled, cut, sanded, painted, glued and nailed. Very time consuming, and then shipping from Canada is crazy town. But yes, considering. I’m loving giving some of my leftover PPG Voice of Color paint a good home! Mod Podging on glitter might just be one of my favourite techniques, who couldn’t use a little extra glam? As far as scroll saws go, I just have an 18″ entry level machine, but this Dewlat or Delta scroll saws would be my first choice if I had a bigger budget. 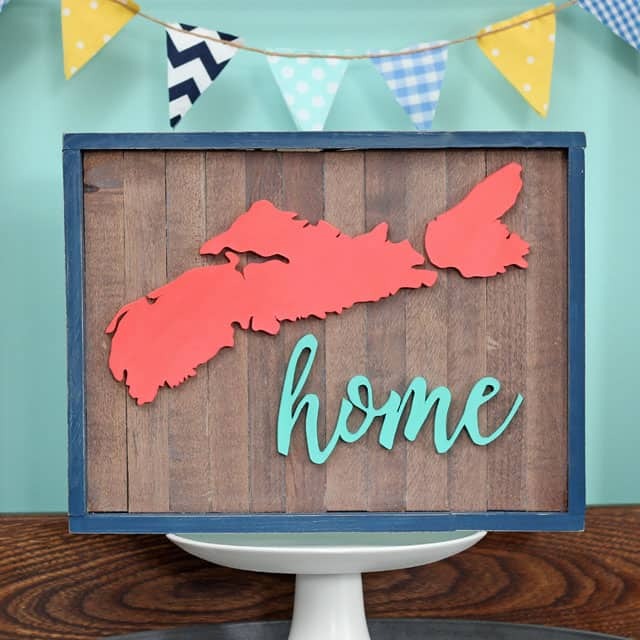 This Nova Scotia sign was a labor of love, I might move to Utah or Colorado if I had to make too many of these! You can’t lie, I know you’re smiling when looking at this next one. The profile of the lens is the best part! 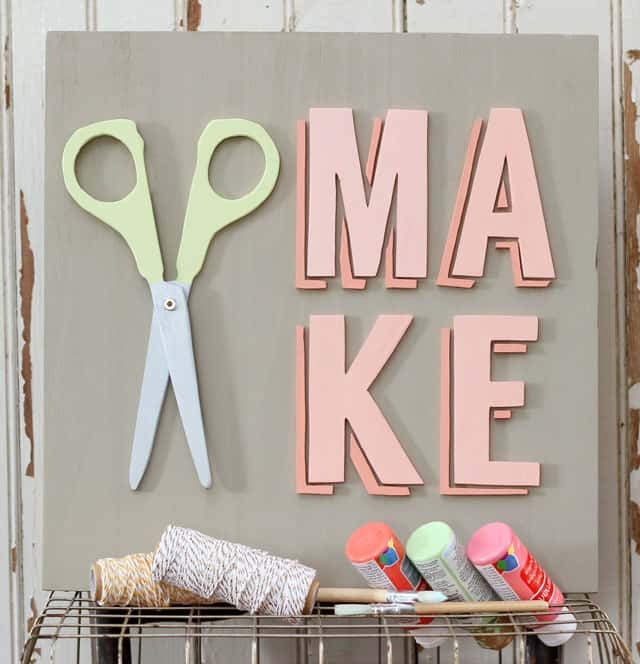 You may remember this MAKE sign from my home office craft closet makeover. And last by not least Mr. Bunny Fou Fou, all cute in his floral tuxedo. I’d love for you to follow along with the hashtag #scrollingprettythings to see what I’m scrolling up next. PLEASE if you’re a scroller yourself use the hashtag so I can see what you’re working on too! What a great post! And congratulations on getting your scroll saw. I too wanted one for quite some time before my husband treated me for my birthday – how many women would request one of these for their 55th birthday, lol. Anyway, like you, I’ve found mine really easy to use and absolutely love it when I have time to mess around and make something. I think any hints or tutorials that you make may well be useful to all of us scrollers, as we can all do with fresh input now and again. Hope you’re having a fabulous weekend. I think thats a great birthday gift! Finding time is always the thing eh? But I’m loving getting acquainted with this fun tool, thanks for visiting. Love these! What a fun adventure a new tool brings. I LOVE LOVE LOVE all the signs that you make. I love seeing them on IG, and I really hope you’ll share some tips for using them. I got me one of these 1 1/2 years ago, and still haven’t used it. My husband has, but I haven’t. I need to. I also have a Rockwell Bladerunner, and I’ve used it a little bit to do somethings like this. LOVE your signs! Thanks Colleen, I’m thinking about it! Do you have an etsy shop? 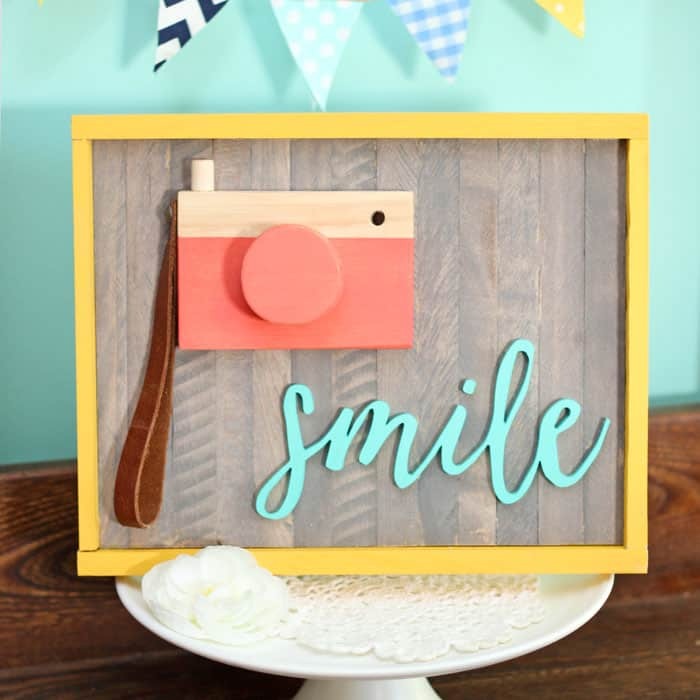 Where can I buy the camera smile sign? I don’t have a shop yet, I’m working on having them available. Thanks for inquiring! Not only do I want every single one of these, Virginia, but now I want a scroll saw, too! If you do end up selling them, I’m sure you’ll have a faithful following – so cute! Thanks Sarah, a scroll saw is so much fun! I’m sure you’d love it! lovely quality work, I like the attention to detail and imagination you have used! I am in awe over your work! I’ve been following you on IG, and you are my favorite scroller. I found a saw today at a yard sale, and will be picking it up Monday. I can’t wait to get started! 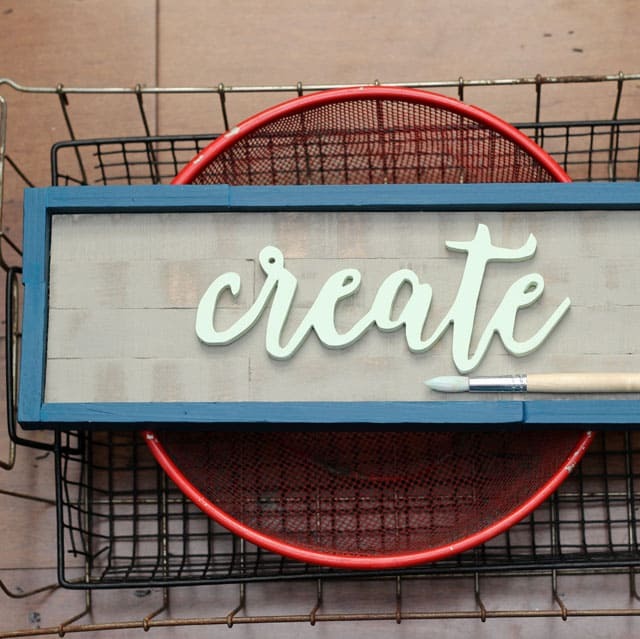 What material do you use for the words that go on your signs? And what blade do you typically use? Thanks for the inspiration! Thanks so much! 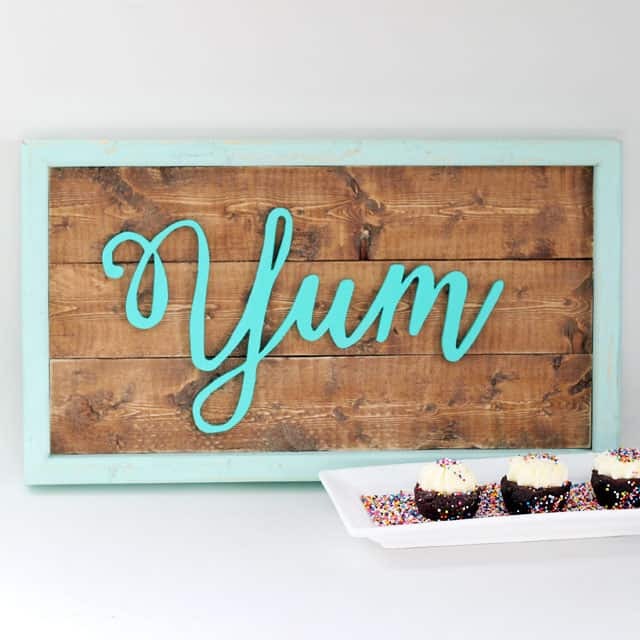 I use hardboard for the words if it is a sign for indoors, its cheap and easy to scroll. Spiral blades are awesome but hard to find locally. 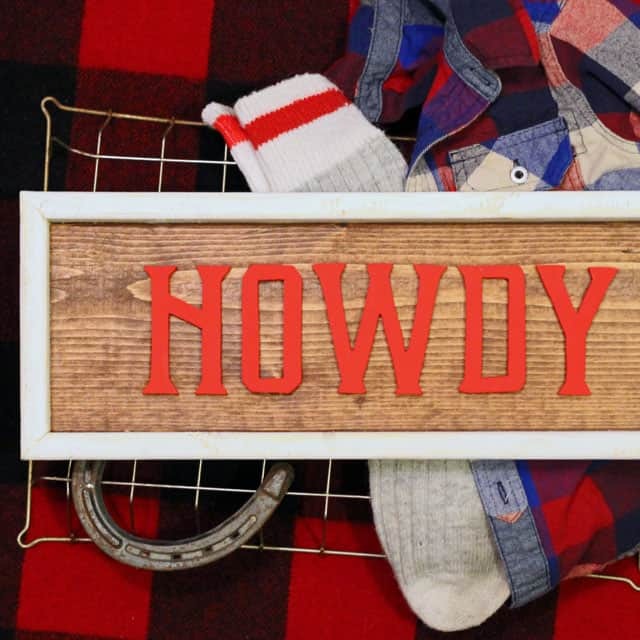 What font did you use for these signs? Love it! Hi Virginia! I am a recent scroll saw user and I have been making things similar to yours (definitely not stealing your work though!) 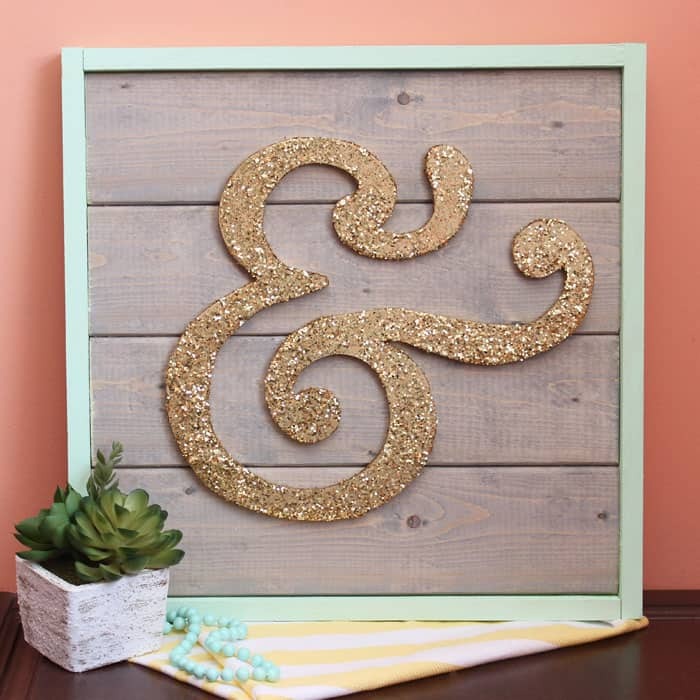 but I was wondering what wood you use for your letters? I normally use pine because of its affordability, but when I began to use a very thin pine (1/4″ I believe) it just wouldn’t hold up well and snapped pretty easily. Right now I use 3/4″ and I cutout mostly shapes (I’m on an animal kick right now! I just made a super cute fox) but I have SO many ideas for words. Can you help? Thank you! Also, I wanted to say that I not only love your work, but I love your personality as well. You seem like such a kind and genuine person. Thanks for writing! Hey Erin, thanks for dropping a line. I make generally signs for indoors, so I typically use 1/4″ hardboard. It is SUPER cheap, but I find birch is a great wood for signs you may be making for outside use. I hope this helps, I’d love to see your creations! Thank you for replying! 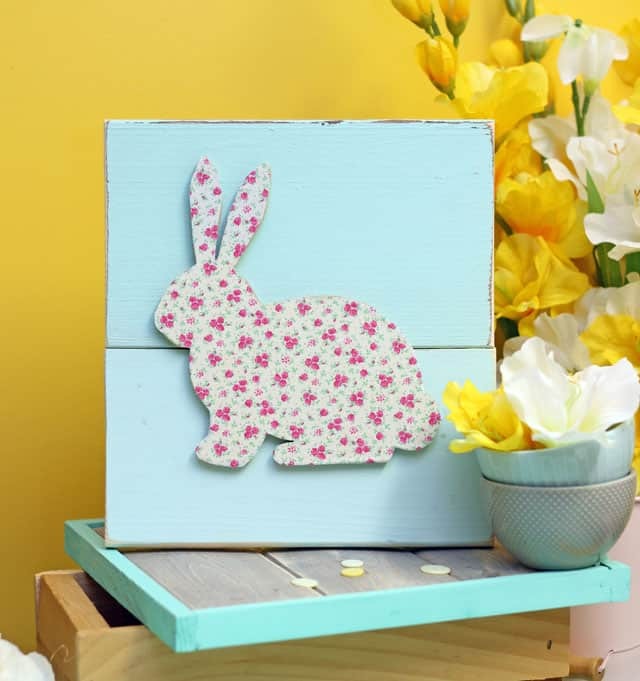 Before I saw it, my husband recommended MDF and it has been working fabulously for me! I went ahead and bought some hardboard, but one of my favorite things about MDF is that it comes in smaller sizes. Our local store only sells massive sheets of hardboard (for a reasonable price, though!) and I have to have them cut it to even get it in the car. I’ve heard MDF can be tough on blades because of the glue it has in it, but I go through blades pretty quickly anyway, so I don’t think it matters. It doesn’t seem to be harming my blades yet. Love all of your signs! I am hoping to be getting a scroll saw maybe tomorrow…keeping my fingers crossed. I hope you got one, so much fun!! This is very inspiring to me because I have a scroll saw I bought about 15 years ago that I never have used. I’m a bit ashamed, but now maybe I can redeem myself!! Thanks for bringing this by to our Throwback Thursday Link Party – I’ll be pinning this to our board, too, and Happy New Year! I’ve been wanting a scroll saw for some time, but seeing your beautiful signs, now I really want one! And that gold glitter, love it! You do such beautiful work. Love your signs! You’re making me want a saw like this even though they make me nervous. Are you planning to do any tutorials? 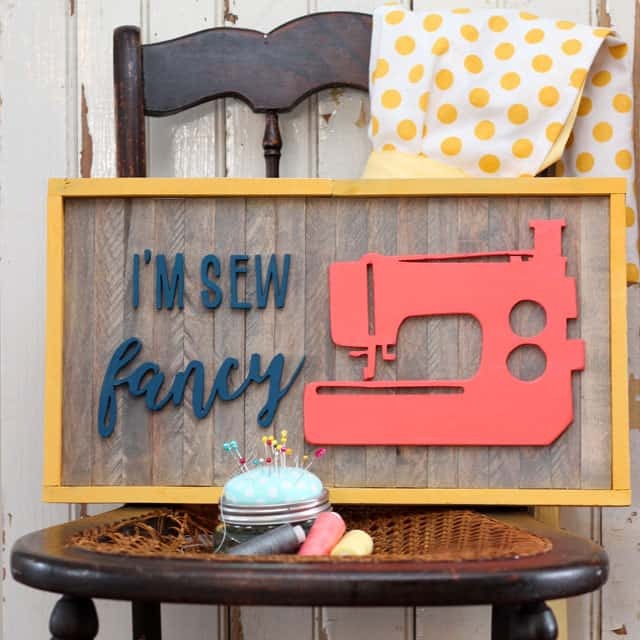 I’d love to know what fonts you used on the sewing machine and rolling pin signs. Love them! You’re making me wish I had a scroll saw. I love the sewing machine and scissors. 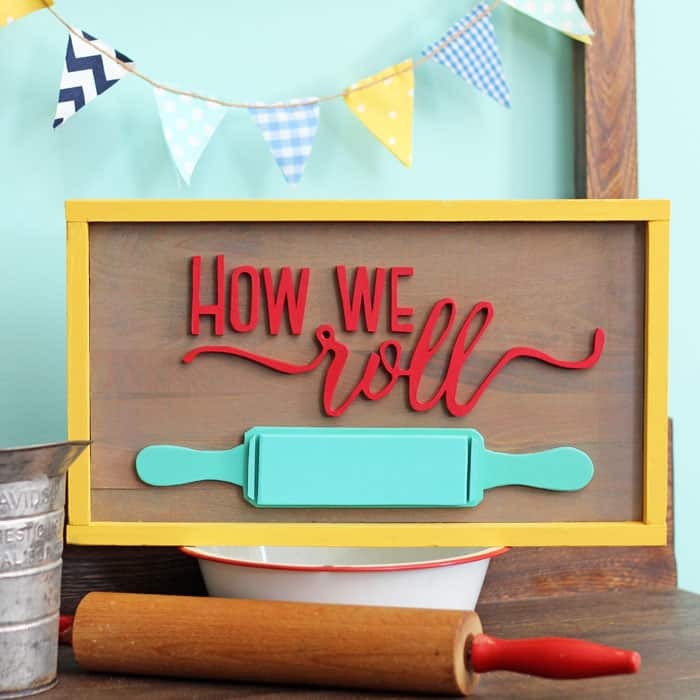 I just saw your “how we roll” project on Flamingo Toes blog party and now I’m here, blogstalking your projects! Pretty much love all your stuff and putting a new scroll saw on my Want List. You do beautiful and creative work! You’re so sweet Ann! Thank you for visiting! Scroll saw work has come a long way! The only time I’ve ever used one is when I cut out a heart wood box in junior high shop class. I just love all your work! Every time I see it pop up in my feed it just makes me smile. 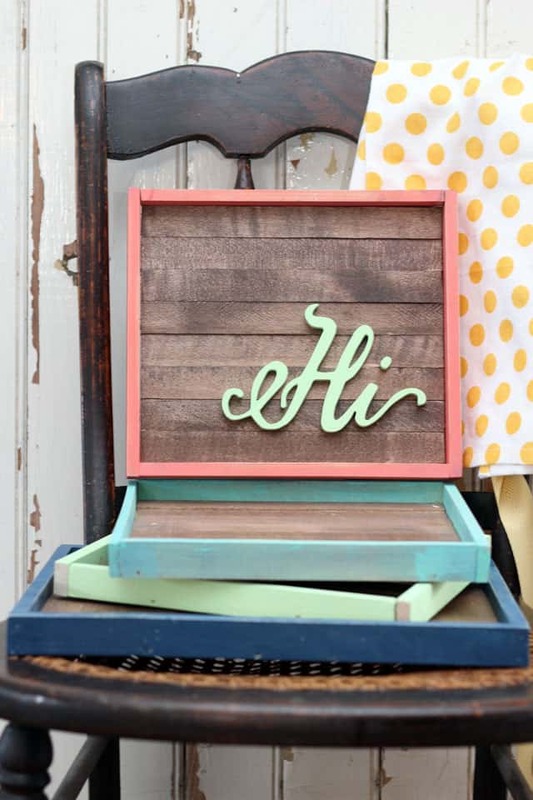 I’m glad you linked up to the Handmade Hangout last week- I’ll be featuring you today on my blog when the new linky goes live at 6pm ET. I hope you’ll stop by and link up again! Thank you so much for visiting Valerie! What scroll saw did you buy?